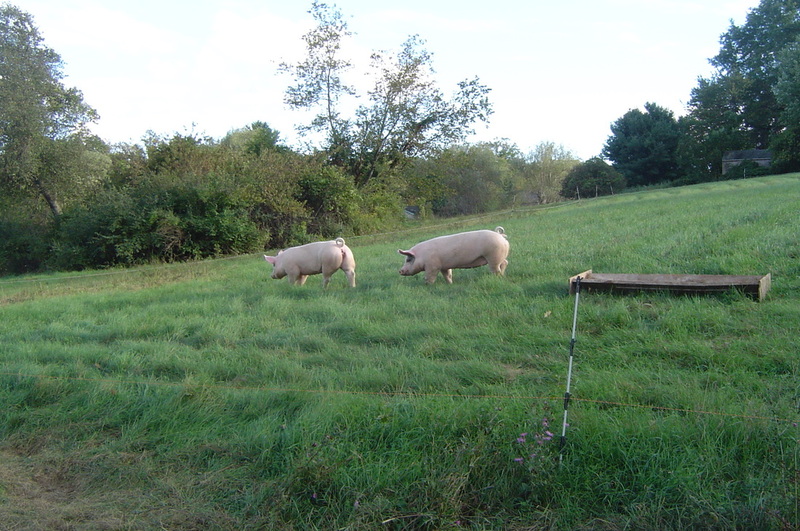 Our pigs are raised on pasture, which allows them to eat bugs and grasses while their manure feeds the grass which then feeds the cows. We rotate them to fresh pasture weekly which ensures they always have plenty of forages to eat as well as a clean living area. 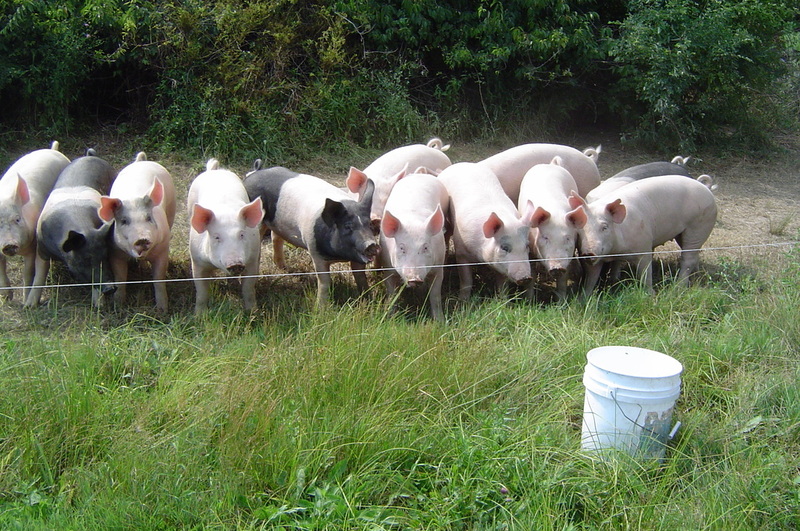 The pigs are fed certified non-GMO grain that is grown without pesticides, herbicides, or synthetic fertilizers. Pork is sold by the cut at our farm store (see price list below). You can also access our pork through our meat subscription.